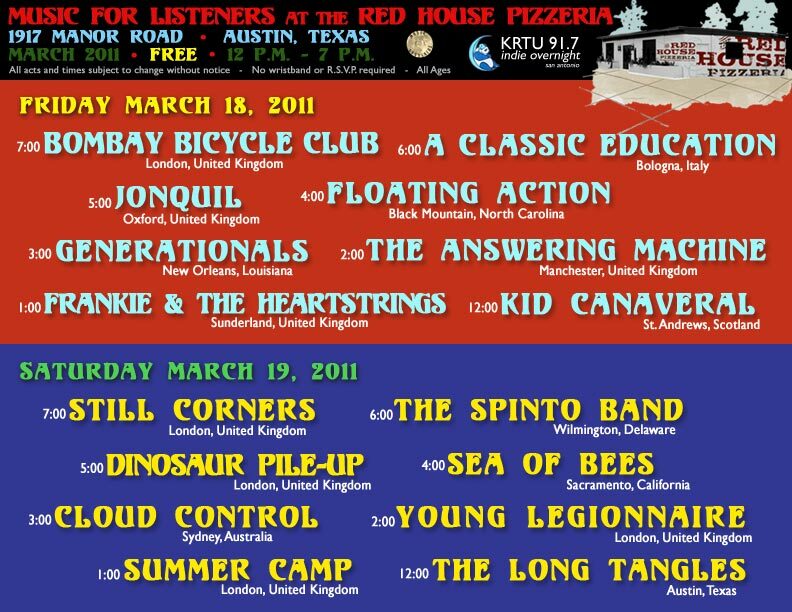 For the third year in a row, the Music for Listeners radio show will be teaming up with the Red House Pizzeria to put on SXSW daytime parties on March 18 and 19th. This event will feature hand selected artists from all over the world. It is all ages and free with an RSVP.